For 30-year-old Luis Ortiz, the road to Ericsson took a detour through academia. Originally set on becoming a researcher (completing his undergraduate degree and two years of doctoral work in psychology), the Mexico City native came to realize he wanted to put his skills to use towards understanding and influencing people’s decisions in the marketplace. To that end, he shifted his attention and joined the full-time MBA program at the University of Texas at Dallas, where he focused on marketing strategy and branding. 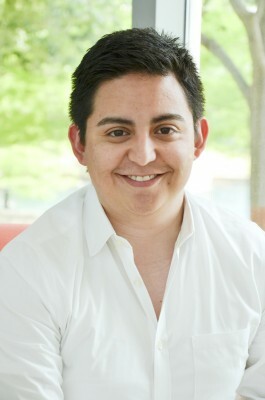 Since receiving his MBA, Luis Ortiz has gained invaluable experience in advertising at The Richards Group and digital marketing strategy at Fleishman-Hillard. Today, as brand manager for Ericsson in North America, Ortiz combines his extensive quantitative and qualitative research experience with his marketing strategy training to tackle challenges in creative and effective ways. I am interested in continuing to expand my brand-management expertise, business knowledge, communications, and marketing skills to lead an organization in a high-technology environment. [A job where I’d be] … in a position to leave a mark in the technology space for marketing innovation. I see a great opportunity for technology to support social good and will continue to pursue careers that allow me to do both. There is no one person that I hold as my “one and only” role model. I do, however, highly admire people that are brave and are willing to try new ideas and methods in order to make things better—whether it’s for the business, industry, or society—regardless of whether doing so upsets the status quo. Some of the people I admire include Steve Jobs, Jeff Bezos, and Sergey Brin in technology, and Richard Branson and Herb Kelleher in the airline business, Salman Khan (founder of the Khan Academy) in education, and the founders of Kickstarter in entrepreneurship. I am very achievement oriented. I like to see the product of my work take hold and facilitate change quickly.